Elizabeth Arden, a name almost synonymous with timeless beauty and ageless appeal, inspired an entire generation of Americans towards a more beautiful, glamorous life. Celebrated throughout history as a legendary innovator, a visionary and entrepreneur, today Elizabeth Arden is coveted as a global brand for elite lineup of exotic cosmetic products. Born to a modest ménage, Elizabeth Arden smattered through various odd-jobs before she created a niche for herself in the cosmetic industry. She swayed the more restrained America with her revolutionizing concept on beauty and makeup, advocating her fundamental belief that makeup wasn’t any means to camouflage one’s beauty. She swore by the mantra, "To be beautiful and natural is the birthright of every woman." She catapulted her fortunes from her humble living in Canada to the posh "Elizabeth Arden Red Door Salon" on Fifth Avenue in New York City, with her unwavering determination and a quenchless desire for success. She inspired science into skin care, a groundbreaking evolution that slung her among the elitist entrepreneurs of her day. Though Elizabeth Arden rests in peace in her grave now, her rich legacy continues to thrive till date, with her brand committing itself to innovation, excellence and quality. Elizabeth Arden, originally christened as Florence Nightingale Graham, after renowned nurse Florence Nightingale, was born in December 31, 1878 in the suburbs of Toronto called Woodbridge, Ontario, Canada. Born to a Scottish father and English mother, Arden’s humble lineage had little to boast of. Her childhood was spent trying to make both the ends meet. Compelled by the family’s financial misfortunes and her mother’s subsequent illness and death, Arden gave up school and dabbled with different odd jobs to eke out a living. Her mother’s early death left a deep impression on the six-year-old Arden’s mind that inspired her towards bigger dreams and helped her to accomplish everything she went on to achieve later. 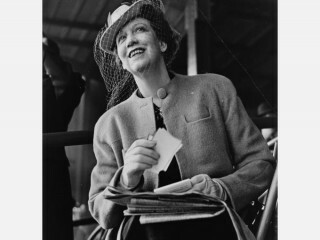 Elizabeth Arden moved to New York in 1908 to stay with her brother, a move that altered the course of her destiny and opened her to her great fortune. Her access into the big world of beauty was purely inadvertent. In New York, Arden took up a clerical job as a book-keeper for the E.R. Squibb Pharmaceuticals Company, where she mastered her skills on skin care. Later, she joined beauty culturist Eleanor Adair as a ‘treatment girl’, where she helped clients with massages and other beauty treatments. Elizabeth’s career graph has been inspirational. After serving beauty culturist Eleanor Adair for almost a year, she went on to open her own beauty store in partnership with Elizabeth Hubbard, and won favors of high-class ladies that soon catapulted her career from staid mansions to posh shops and stores in Fifth Cross in New York. The partnership was soon dissolved and she became the sole proprietress of the business, which she chose to operate under the name of Elizabeth Arden, a coinage inspired by her former partner and Tennyson’s well known verse, Enoch Arden. She added a huge red door to her office with a brass name plate, something that went on to become the hallmark of Elizabeth Arden salons later. Her visit to France opened her eyes to the sophisticated world of glamour and makeup. She was enticed to see the rouge, lipstick and mascara that inspired her to make groundbreaking experiments back home. Arden introduced her learning into her expanding chain of salons and hired people to develop high-line of cosmetic products that were snapped up at premium prices. Arden’s beauty business saw a boom as she ingeniously incorporated innovation into her classic entrepreneurial style. Elizabeth Arden went on to surprise her aficionados and critics with never-seen-before shades of lipsticks and fluffy, light and luxurious face creams that inspired her to open salons all across the globe. By the year 1960, Elizabeth Arden became a brand name for swish cosmetics, with her patrons counting from Queen Elizabeth II to Marilyn Monroe to Jacqueline Kennedy and more. Her big contribution to the world of cosmetic industry was acknowledged in the year 1962, when the French government feted her with the prestigious Légion d’Honneur. Elizabeth married Thomas J. Lewis, a banker by profession in the year 1915; a choice prompted by her own personal interest than anything else. Her alliance to Thomas earned her an American citizenship as well as a patron for her cosmetic lines. However their marriage was cut short by her insatiable appetite for success and fame and in the year 1934, Arden divorced Thomas. Her second marriage to Russian émigré, Prince Michael Evlanoff, too had a brief life. After spending two years of conjugal life with him, she divorced him again on 1944. Her deep set longing to be accepted by posh New York society led her to a close camaraderie with high society lass Elizabeth Marbury and her swish ally Elsie De Wolfe. Arden never married again though she was never short of appreciators. Elizabeth Arden died in New York in 1966 at the age of 88. She left behind an astoundingly rich legacy of 17 different Elizabeth Arden corporations and 40 Salons worldwide. She was inhumed in the Hollow Cemetery in Sleepy Hollow, New York under the name Elizabeth N. Graham. She padded her own image of undying beauty by effectively holding back her age, which was not revealed until her death. 1878: Florence Nightingale Graham a.k.a. Elizabeth Arden was born. 1908: Florence Graham briefly pursued nurse's training, worked as a secretary, and dabbled with various other odd jobs, before shifting to New York City. 1909: She went into partnership with Elizabeth Hubbard in a beauty salon on Fifth Avenue, investing about $1,000 in the venture. 1910: First Elizabeth Arden salon was opened. 1912: Arden travelled to France to learn beauty and facial massage techniques used in the Paris beauty salons. 1914: Hired chemists to produce a fluffy face cream and an astringent lotion, the first products in a cosmetics line that eventually included some 300 items. 1915: Married Thomas J. Lewis, a banker, thus becoming an American citizen. In the same year, she startedmarketing her cosmetics globally, selling them in large quantities to pharmacies and department stores. 1922: She opened a salon in Paris. 1943: She started a fashion business with notable designers like Charles James and Oscar de la Renta. 1947: Arden was one of the nation's foremost racehorse owners. She operated stables near Lexington, Kentucky, from which came Jet Pilot, winner of the Kentucky Derby. 1960: Elizabeth Arden became a world renowned brand name. 1966: She died in New York. View the full website biography of Elizabeth Arden.